The Athens SWCD offers technical and educational services to landowners regarding forestry and wildlife practices or concerns. Contact our Wildlife Specialist/Forestry Technician at 740-797-9686 ext. 6283 to see how we can assist you. The Ohio Invasive Plants calendar is a collaborative effort of the Athens, Hocking, and Vinton SWCD's. The calendar is a tool to assist landowners in identifying and preventing invasive plants from getting into our native eco-systems. "Invasive species" are defined as a species that is non-native (or alien) to the eco-system under consideration. These species generally lack in natural predators and diseases. Most people see these plants, their green leaves, showy flowers and fruits not realizing they can be detrimental to our native plants and wildlife. For more information about invasive species and ways to control them contact our office at 740-797-9686. Thank You to the South Central Power Round Up Grant and the Ohio Forestry Association Foundation for the support of this project. ** The 2019 calendar is not for resale - it is available to print from the link provided or from our office which has a limited supply remaining. If you observe a nest of birds or a young mammal with no adult in sight, please let it be. Many species of animals are raised by one parent that may be out seeking food. It is very rare that wildlife will abandon their young, unless an injury or death has occurred. If you believe that the young is in trouble, contact a licensed wildlife rehabilitator, trained to handle cases of orphaned animals. It is illegal for anyone to keep a native wildlife animal unless permitted by ODNR Division of Wildlife. Native pollinator species are experiencing population declines across the United States. 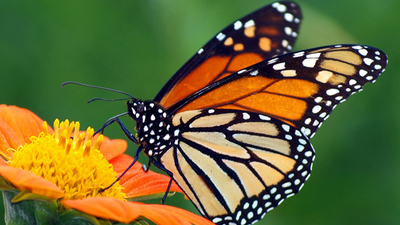 In particular, the Monarch butterfly has drastically declined here in Ohio and in the wintering grounds of Mexico. It is currently at risk of being placed on the U.S. Endangered Species List. The Athens SWCD, numerous state, national and private agencies and citizens have joined in a state and nationwide effort to provide and protect native habitats for these very beneficial creatures. Beginning in March 2017, the Athens SWCD partnered with the Athens Conservancy to use their land along Johnson Road in The Plains, known as The Plains Preserve, to plant 1000 square feet of pollinator habitat. 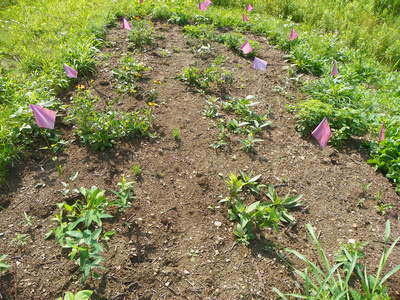 The nectar rich plants used in this area were grown by local FFA chapters in their Greenhouse Production and Labor class. 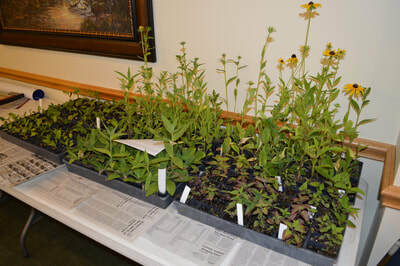 The seeding soil and native Ohio wildflower seed were generously donated by Scott’s Miracle Gro and the Ohio Prairie Nursery.